The Lakeside Village Athletic Center - Marketing Specifics, Inc. 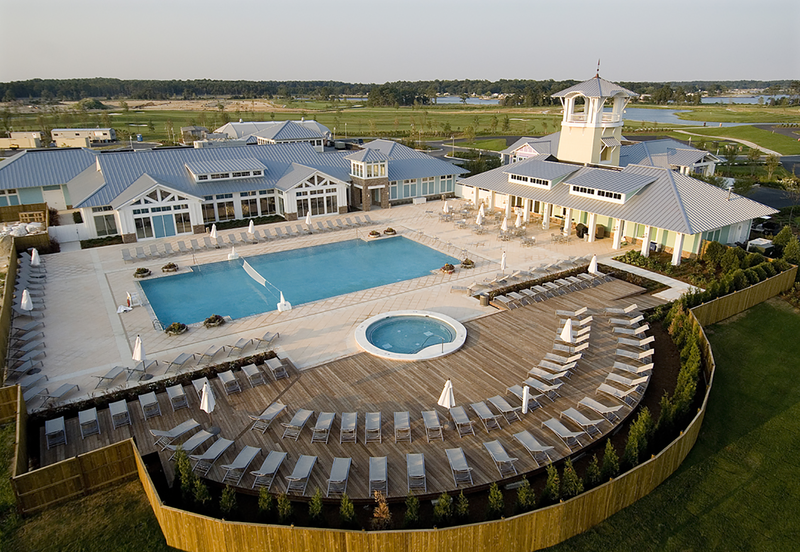 The Athletic Center is part of the Lakeside Village; a charming retail environment designed in coastal architectural style, complementing the architecture of the community itself. 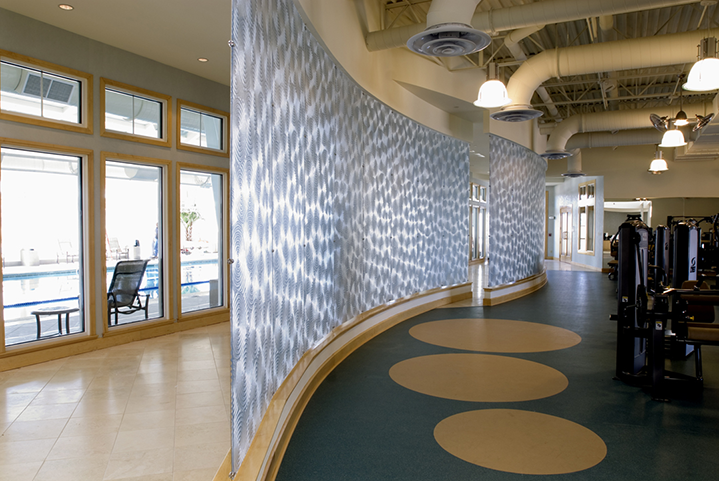 The interior of The Peninsula Athletic Center was designed to create a serene, spa-like atmosphere with state-of-the-art equipment. The dramatic curved wall is a focal point, which adds movement to the space, drawing the resident in. The natural stones, glass tiles, textured fabrics and architectural details; such as the impressive tower, make the Athletic Center a cerebral experience for all. With families in mind, the Athletic Center also offers a whimsical Teen and Children’s Room with planned activities and fun. 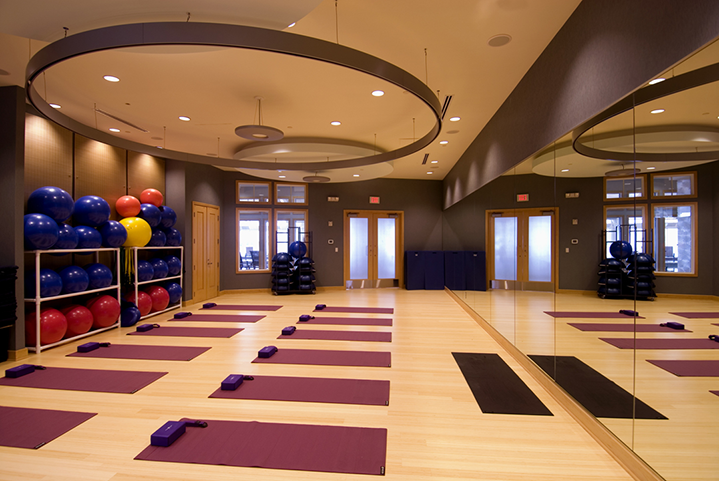 Complete with aerobics room, indoor saunas, massage rooms and both an indoor and outdoor pool, The Peninsula Athletic Center serves every need of the residents.